In 1967, Mr. Segun Ogundele, who had been a fan, did me a totally unexpected favor. One day, Ogundele, who played music before becoming a manager with Kingsway Stores, called me to announce that he wanted me to come and inspect some equipment he owned. I went to see the equipment and to my surprise he asked me to take them. Unbelievable! I convinced myself that I had not heard him well because he sounded as if he was giving them out free. That, actually, was what he meant. No strings attached. I could not believe what was happening because, by the standards of the time; those equipments were modern. They were also what I needed most. My band members were dazed when they saw them. 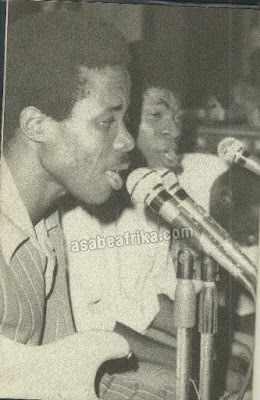 Ogundele thus became the first person to give me musical equipment free of charge. Shortly after, we bought our own equipment and I decided that it was high time I owned my own band and I quit leading one owned by another person. I broke free, formed my own band and named it Sunny Ade and his All Weather band. Even with my new name, creating a distinct musical identity was still a dream. But not for long, within one year, I was made for a record deal. 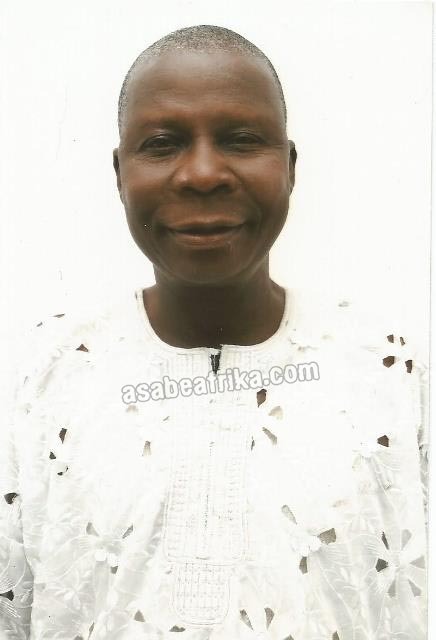 A woman, named Alhaja Masha or Sisi Masha, came to my house and said African Songs Limited, owned by the late Chief Bolarinwa Abioro, had sent her to seek me out. ‘What for?’ I asked. She replied that they wanted to record me and had detailed her to track me. Sisi Masha added that I needed to go with her to discuss the terms of the deal. I told her I would visit the company the next day. The next day, I went with her to see Chief Abioro at the company’s office around Herbert Macaulay in Yaba. That was my first meeting Chief Abioro, who explained that they wanted me as the second artiste on their bill. The first artiste I was told, was Ayinde Bakare. I almost fainted with excitement and did not even bother to ask what was involved. All I cared about was to record an album, not long stories. I was assigned an artiste manager to monitor my rehearsals. The artiste manager would come to my house and we would rehearse together. Our rehearsals were held in the morning when residents must have gone to their various places of work. We could not rehearse overnight because the music would disrupt resident’s sleep. “And just one year after forming a band, I was already a recording artiste. My excitement grew when the record was played on the radio a few weeks after its release. I was on Cloud Nine. I did not even go to the studio to ask about anything else; not about royalty or the details of the contract I signed. I was too thrilled to care about what the contract said or did not say”. Our 1st album sold 13 copies? Then we made our first recording, a three minute album recorded at the Ikoyi studios of the Nigerian Broadcasting Corporation (now Federal Radio Corporation of Nigeria). 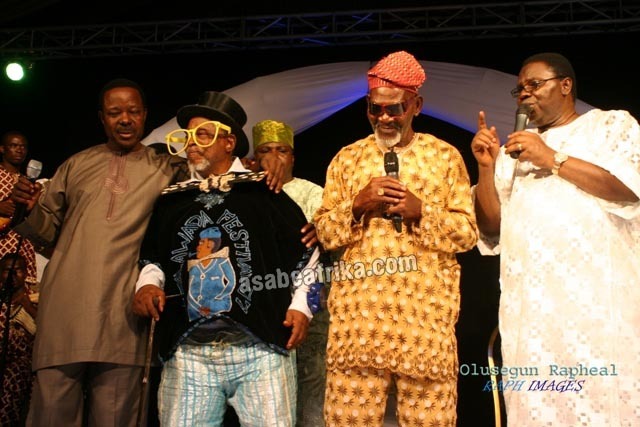 It was titled Alanu Lo Oluwa and was recorded by Chief Fola Meadows. For the band, whether the record sold well or not was not a major concern. The only thing that interested us was that we had become members of the musical elite – recording artistes. It was a privilege only a few enjoyed. While with Idowu Owoeye, we never managed to record an album; with Moses Olaiya, we did, but just once. And just one year after forming a band, I was already a recording artiste. My excitement grew when the record was played on the radio a few weeks after its release. I was on Cloud Nine. I did not even go to the studio to ask about anything else; not about royalty or the details of the contract I signed. I was too thrilled to care about what the contract said or did not say. All I said to Chief Abioro was that I regarded him as my father and urged him to treat me as his son. In any case, the contract was not a joint contract. Chief Abioro insisted that each member of the band must sign individually. It suited me because I did not want to be a sole signatory, as I wanted to avoid a situation in which band members would be asking: ‘Where has all the money gone?’ I thought it was good that we all went there to sign and if there was a need to ask for our money, we would ask as a group. After a while, we were told that the album sold 13 copies. We could not care less, as long as the music was enjoying airplay. It also won us more fans. But in retrospect, I realized that we sold ourselves short by not sitting down to work out the business side of music. 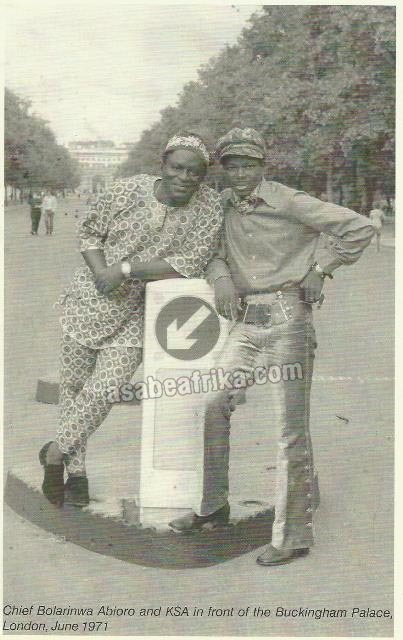 We were too drunk on fame because our record was being played alongside those of I.K Dairo, Ayinde Bakare, Dele Ojo, Theophilus Iwalokun and others. We always went to Fola Meadows, saying we heard our record being played on air during the week and we would thank him for giving us airplay. We did not know that we were the raw materials for both the recording companies and the radio stations or that, we should, by right, be paid for being on air. I remember when I led a group of musicians to the National Assembly in the Second Republic. We were there to complain over the non-payment of royalties or unauthorized use of materials. I was shocked when the legislators told us that whoever had copied our materials was doing us a favor. Lawmakers saying we should be happy that our records were being pirated? Very true! They were so serious about it until the late Bobby Benson erupted in anger and really gave it to them. Commercially, Alanu Lo’Oluwa failed, selling only 13 copies. At least, that was what African Songs Limited made us believe. Psychologically, however, it helped the band immensely. With the generous airplay we got, we started to believe that with time, we could make it big. Perhaps! real big. It happened sooner than expected; in the same year. That year, I went to watch the final of the National Challenge Cup at Onikan Stadium. It was played between Lagos’ Stationery Stores Football Club and the football team of Western Nigeria Broadcasting Service (WNBS), Ibadan. Stores won the cup, playing attractive football. I was so impressed by their football that I went to Chief Abioro and told him that I wanted to make a record commemorating their victory. Abioro was in favor of it. The album was titled Challenge Cup. Though recorded in 1967, it was released in 1968. It turned out an inspired hunch, as the record sold well over 500,000 copies, from 13 copies to Platinum album and just at the second attempt? God surely existed. After a few years, I decided to give the band a new identity. This came in the shape of a name change. 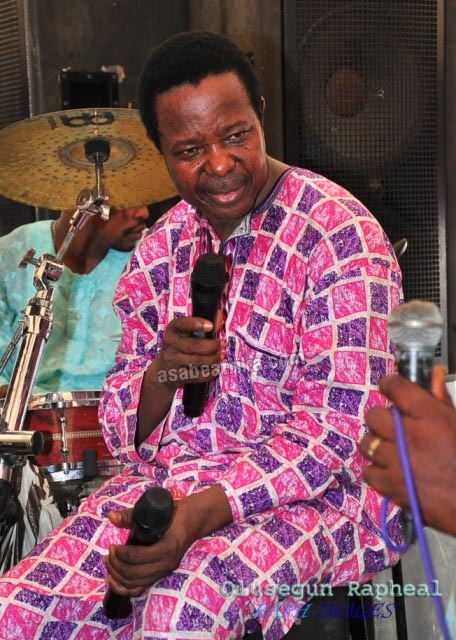 From Sunny Ade and His All Weather Band, I renamed it Sunny Ade and His Green Spots Band. The name was inspired by I.K. 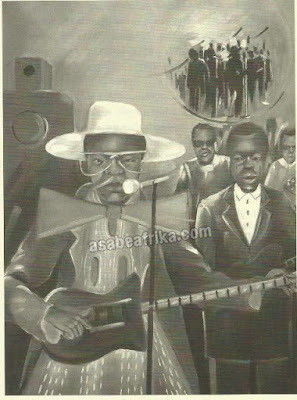 Dairo’s band which was Blue Spot Band. But after about a decade of performing under this name, a cigarette manufacturing firm came out with a brand called Green Spot Cigarette. The brand became popular and its popularity bred confusion. The radio jingle for it also featured my music. I have never smoked, but I do not hate smokers. However, I believed that there was a need to make a distinction between the cigarette brand and my music. 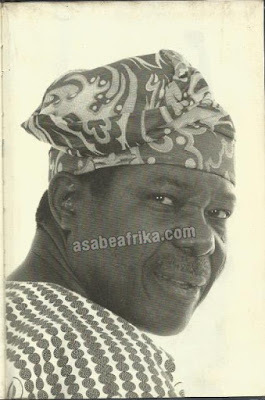 That distinction came in the form of another name change, this time to Sunny Ade and His African Beats. The various name changes created no problem because I had become well known, especially for churning out hit after hit. Without sounding immodest, I had become something of a meal ticket for Chief Abioro’s African Songs Limited. 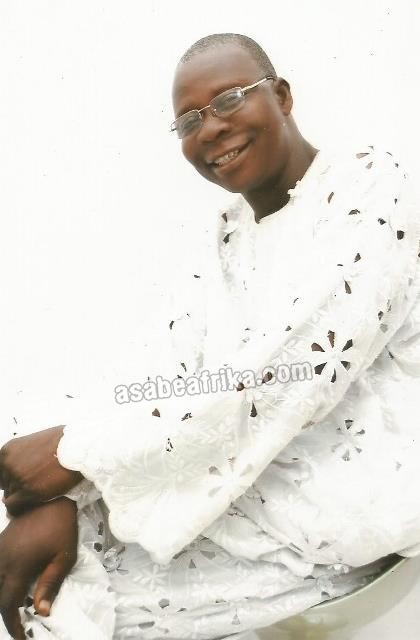 But things seemed destined to change in my relationship with Chief Abioro and African Songs Limited.